← No Doubting her Courage! South African jockey Barend Vorster produced another magical ride to land LAKE DISTRICT GIRL (3f. Not A Single Doubt x Lake Mountain by Monashee Mountain) a photo-finish win at Morphettville on Saturday, March 30. 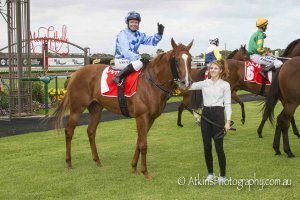 The Tony McEvoy-trained three-year-old filly looked to be in a lot of trouble when she was caught in behind runners down the home straight, but Vorster threaded the eye of a needle to burst between runners and come to score a last-stride win. Lake District Girl ($4) arrived to score a head win in the Kilburn Football Club Handicap (1050m) beating Viduka ($4.40) with Heaven’s Deal ($5.50) a long neck away third. The victory gave McEvoy a two-state double as he won earlier in the day at Bendigo with Secret Blaze. McEvoy’s South Australian stable foreman John Cornell said the plan had to be to ride Lake District Girl with a sit. “We’ve always been keen to get a bit of cover with her,” Cornell said. “The other day in Melbourne she was exposed, no fault of the jockey. Today, with a bit of cover she showed she can finish her races off. Winning jockey Barend Vorster was suitably impressed. 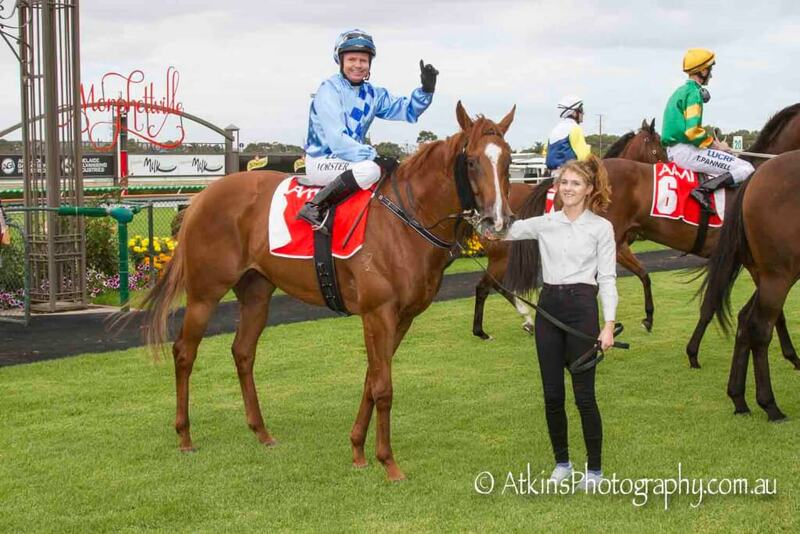 “She’s a nice filly, but a little on the hot side,” Vorster said. “We had to try a few different tactics today, to get her to settle behind some other runners. “She began well and settled nicely, and in the home straight it was a case of finding the right run. “I took the inside run and she got there at the right time.